I am currently 23 weeks and am amazed that this baby still has at least 5 lbs to go. Thanks abs for being so stretchy and letting baby play you like his little drum. You're awesome. you are stinkin' adorable. and I'm swooning over your necklace. so pretty! im 23 too :) such a big difference our lives are! You are toooooo cute! You may be one of the cutest prego girls ever! I love your necklace and your hair color is looking super cute lately too! you look so lovely, great dress. what a cute baby momma :) i love the dress and the necklace together! You look so cute, Sydney! Congrats on your healthy little baby boy! My bestie just had a baby boy 6 weeks ago! I don't know why you were worried about the houndstooth/turquoise combo - it looks GREAT! That necklace is fab. I was hot in December when preggers so I feel for you. Isn't it fun to see the bump grow? Enjoy it. even though you don't wear tank tops, ugh this heat is almost worth wearing a swimsuit all day just as a loophole! ;) you look fab momma! such a perfect preggo belly. definitely wish i knew your secrets so i can copy them someday! well aren't you a precious prego. 23 weeks already??? Ah you must be so excited!!! ;) Good luck mommy! I love how beautiful you look glowing. And it's so cute that you play your growing tummy like a drum. Glad to read you are doing well. I was missing yours posts. Your blog was my first love and of course inspiration! Have a great day! You look amazingly adorable! Congrats again!!! You look great! And yes, the midwest humidity is a beast! You are so adorable!! Love your super cute baby bump!! You are so darling pregnant! jealous!!! oh my gosh, it is SO hot here in the midwest! i've been jealous of you wearing pants and stuff back in Idaho. But adding a muffin into the mix makes the heat worse! Drink lots of fluids dear! Keep that muffin hydrated! Girl. You are like the tiniest pregnant lady I have ever seen. Adorable. I hope the Midwest heat/humidity isn't TOO unbearable. Having grown up in it, I know it's brutal. Note: "having grown up in"... Yeah. I left that humidity + heat as soon as was humanly possible!! These pics are adorably precious :) & what a lovely dress to pair! you look ahhmazeballs!! beautiful. love the necklace! You have got to be the cutest pregnant lady ever! Love the outfit, so cute! cant believe you are already 23 weeks, so awesome!! you are friggin cute! lol I bet from the back you can't event tell you're pregnant! So cute. I love this dress! haha the comment that said to wear a bathing suit as a tank top loophole made me laugh. ive heard it is really good exercise to swim while pregnant though, because buoyancy takes most of the weight (and therefore pressure) off of your pelvis! I think I want to live in a pool while pregnant. You still have the cutest figure and body with that baby bump! You are absolutely adorable here!!! You look great! Hope the rest of your pregnancy is a breeze! How adorable is this! You look fantastic girl! the necklace was the perfect touch! gah you are too cute!!!! your baby bump is ROCKIN that dress!! I've just started feeling my little baby boy moving in my tummy, I love it! You might be the cutest pregnant lady ever :) Love your necklace! No doubt you were a beautiful girl before getting preggers, but the baby glow is all over you, adorable! Aww you look so cute! Lucky you can still fit into your pre-preggors clothes! Congratulations! You look so healthy - your happiness is absolutely stunning. so exciting. and your baby bump is the cutest thing ever!! You look great! Happy baby, happy mommy! you look very cute with your baby bump :) im loooovvinnn the outfit! I want that dress. To bad H&M is nowhere near me! i'm gonna go out on a limb and say this is the cutest you've ever looked. Oh what a cute baby bump! Love the dress. oh my word, you are just TOO CUTE. love that necklace, and the dress too! adorable. I'm 24 weeks and outgrew nearly all of my regular clothes by 16 weeks. I've been wondering how you were managing the non maternity clothes thus far, but regardless you're adorable! man your adorable! I'm 28 wks pregnant with baby boy number 2! I'm quite a bit bigger than you, but you also are a lot more petite than I! You look gorg! Leave it to you to make being preggo look hot. Seriously! 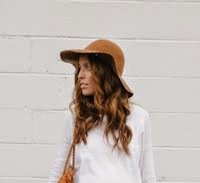 you are so cute preggo - love this whole look too!! Don't worry, it's also 100 degrees here in DC! You are (as always) rocking the prego look! I do feel for you in this heat though. You need to do some sideways pictures too! I'm praying that you have a great rest of your pregnancy, and that you have a healthy baby! OH DEAR. Hot diggity. I think this is the first time I've commented, but have been reading for a long time. It's just that you look stunning and adorable. I am so wanting to be 23 weeks preggo with my second right this second, so as to attempt to look half as cute as you in a body hugging dress. Just lovely. Or something more eloquently written than what I just posted above. Yay! How fun! And I love that necklace! Beautiful Mama!!!!!!! Loving your outfit too!!!!!!! That dress looks awesome on you and your cute baby bump! I'm an occasional reader, but I always scroll over your outfits a couple times -- not just because they're adorable but also because you are! You are definitely glowing! So I don't always comment on all of the fashion blogs that I love to read. Although today, I just could not help myself. How cute are you? I'm loving your baby bump and how well you carry it! You go with your cute self! Let's just say if the day ever comes when I'm pregnant, I want to look as amazing as you! WOW! You seriously look so amazing! I love form fitting things on pregnant women and you are definitely rockin that! If you didn't say anything, I wouldn't be able to tell that you're having trouble in clothing land. You look so great and put together! Seriously - super mom to be. That necklace is incredible. I'm sad you found at a consignment store. I need one too! you have such an happy face, I am so happy for you!!!!!!!!!!!!!!!!!! I love the way you've match the necklace with the dress: weird and awesome! Your looking great! Such a cute outfit! so gorgeous you look amazing love the dress! That's a gorgeous dress! You look beautiful! You look stunning. Very, very beautiful! have a good weekend love! Aw! I haven't been by in a while and just saw you're having a boy! Congrats! My daughter is 7 mos old and it's going by so quickly. I want another! Can't believe you are moving!! And you look adorable in this outfit! I always wondered just how adorable you'd be as a preggers. Now I know... Off the charts. So cute!!! I just spent this week moving out of my apartment and it was lika a rainforest outside - humidity! I love this look. What a great looking prego lady you are!!! Keep posting inspiring pregnancy outfits! I love them all!!! girl. you are pregnant in the summertime and wearing semi-long sleeves? are you crazy? :) i honestly can't imagine being pregnant in the summer here in south carolina. i think i'd never leave my house because of the humidity! It's so nice that you can still fit into that dress because it is dang cute!! Super cute! You're such a gorgeous mama. Oh my gosh, seriously, could you make being pregnant look any cuter?! :) Loves!! That's Better: Improve Your Life Every Day"
I'm obsessed with your dress! I jumped immediately to H&M's website only to have my dreams dashed when it wasn't there. You look darling. Wow you are a lovely mother! you are super cute. your bump is growing so nicely. and even if you think you're outgrowing your clothes...you still make everything look radiant. You look so cute! My sister was pregnant during the summer last year and was dying here in DC. PS - the Jemma Kidd Belle De Jour... is no where to be found! Do you have any other suggestions? What are you wearing on your lips in this post? love the outfit and the baby bump is the best accessory!! I know this is an old post, but when I saw this in your Washingtonian article, I had to come back and swoon. This is one of my favorite looks you've worn. You just look so lovely. Anyway! Happy day to you!